It’s time for WBA/IBF heavyweight ruler Anthony Joshua to take his show on the road. 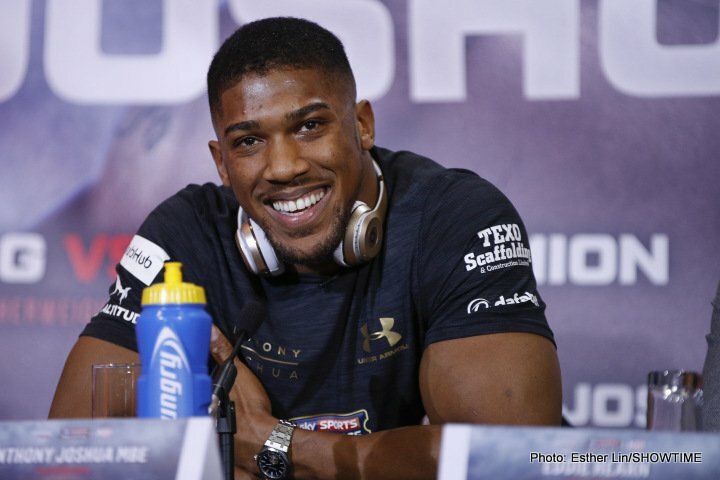 So far in his exciting 19-fight pro career, AJ has boxed in the UK only, but Eddie Hearn has laid out plans for the immediate future – and after Joshua has come through okay against his IBF mandatory challenger Kubrat Pulev who he will face in Cardiff on October 28, the next fight will take place abroad. Hearn says Joshua could fight in either Las Vegas or maybe the Middle East, but he stresses how his fighter must get through Pulev first. Ortiz is confident his B-sample will come back clean and that he will be cleared, retaining the right to fight without suffering a ban and, crucially, maintaining his position as WBA mandatory challenger. Ortiz insists he merely took medication he was prescribed for high blood pressure. The WBA must get to the bottom of this quickly. As for Joshua, if he wins his next two fights whoever they are against – it could be, should be, Wilder next summer. This is the one all heavyweight fans are waiting for! Who has what it takes to become the sport’s next undisputed heavyweight king?